The Customer Service / Sales Representative is responsible for answering 80+ calls per day ensuring the highest level of customer service is provided with each interaction. The ideal candidate will have a customer service and/or sales background with extensive knowledge of small engine parts, etc. Bi-Lingual a plus. Answering inbound phone calls from end users of outdoor power equipment. 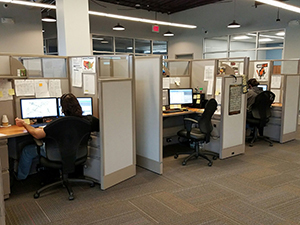 Providing assistance to customers who have general inquiries or need to troubleshoot a problem. Entering orders into our proprietary web-based tool. Monitoring call queues to ensure goals are met for call abandonment, average answer speed and service level. Ensuring prompt handling of customer emails and correspondence. Assisting with technical support / parts lookup. Position requires a High School degree or equivalent. 2 years of customer service and/or sales experience in a call center environment. Knowledge of small engine and/or automotive parts. Analytical skills to include problem identification and resolution. Working knowledge of a Windows based computer environment.